If you weren’t keeping an eye on all things Instagram during the summer of 2017, you may have missed the scandal that was Fyre Festival. Guests to the festival (mostly Instagram models and social media influencers) reported a mountain of problems relating to security, food, accommodation and even medical services. Instead of extravagant villas and luxury meals (that the festival attendees paid thousands for), they received pre-packaged sandwiches, FEMA tents and Portaloos. Above: Photograph of lunch provided for attendees of Fyre Festival. The 3-day festival, which was promoted as a ‘luxury immersive music festival’ hosted in the Bahamas, persuaded festival-goers to purchase the high-cost tickets with the promise of world-class talent, exclusive beach indulgence and an onslaught of personal pampering. Day tickets sold from $500 to $1,500, and VIP packages including airfare and luxury tent accommodations for US $12,000. But underneath the high-budget marketing campaigns, killer branding and huge promises, all was not as it seemed. The festival, the company, and even the idea of the event was rapidly going downhill. As guests arrived, they were left waiting at Miami airport for hours (with no sign of the promised VIP-configured Boeing 737) and were told to collect their own luggage from an unlit shipping container in the dead of night. After a meal of bread and cheese from a Styrofoam container, the final punch landed. Blink-182, who was scheduled to headline the festival, dropped out just before the festival was due to start. Above: Tweet from Blink-182 announcing the cancellation of their Fyre Festival performance. But what does all this have to do with anything? Well, jump forward to 2019 and Netflix have re-ignited the media uproar around the failed festival. A new documentary has been released, which delves into the events that eventually caused the festival’s failure and the appalling actions of Fyre Festival founder Billy McFarland, who is now facing 6 years imprisonment and around $26 million in restitution. We won’t go too much into the specific actions taken by McFarland that led to his eventual downfall (you can head to Netflix for that), but we will take a look at what can be learned from his leadership and how to not to run a team/business. Fyre Festival wasn’t shy when it came to ticking off the don’ts of people management; illegal and hazardous working conditions? Check. Unpaid workers? Check. FBI intervention? Check, check, check! The Netflix documentary shows a clip of hundreds of local labourers who were pulled in to help last minute – to this day, none of these people have seen a single penny from the Fyre Festival organisers or even had any contact with them. Many employees were forced to work 12-hour shifts (or longer) with no breaks in tropical weather conditions, often without access to food and water. The entire Fyre Media team were dismissed without pay and even the most devoted employees were asked to perform highly illegal tasks to compensate for McFarland’s poor leadership (if you’ve already watched the documentary, you know exactly which scene we’re talking about here). Now, these are clearly showing the extreme examples of very bad leadership, but it stands to reason that managing and respecting your team can go a long way in creating a successful environment. Had there been clearer direction and organisation for those working under McFarland, there may have been something left to salvage of Fyre Festival. Within the first 10 minutes of Netflix’s documentary, it is clear that the promises delivered by the festival organisers just couldn’t be followed through. "Today, McFarland found out the hard way that empty promises don't lead to jet-setting, champagne and extravagant parties - they lead to federal prison," said US Attorney for Manhattan, Geoffrey Berman during McFarland’s court hearing in October 2018. 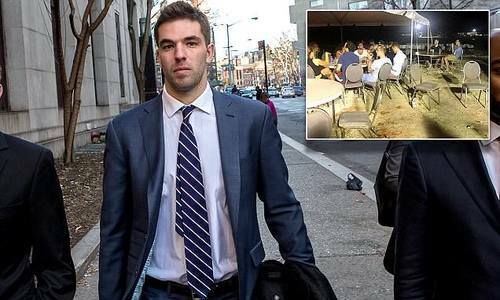 Above: Billy McFarland pictured on his court date. The festival was promoted by the likes of Hailey Baldwin and Kendall Jenner (with a combined 120.2 million followers) as a wild party on the sandy Bahama beaches, despite zero intention of them attending the festival. The massive online push from huge Instagram stars saw the event quickly rise to the tops of celebrities’ bucket-lists, and McFarland’s promises became more and more extravagant. Aggressively selling experiences he knew couldn’t be delivered, McFarland was quizzed multiple times by event management and partners, however simply refused to offer any real understanding as to the organisation of the event and activities. By repeatedly lying to investors and other members of the team, he tangled himself in a web of lies so deep, he would never be free. Stay transparent with other managers and team leaders (even during a crisis) and you may see solutions and even a growing respect from your employees. Damage control – what to do when the worst happens. As is the case with any new venture, there is a high chance something will go wrong. But what makes or breaks a good leader is how they handle the situation. Something that McFarland failed to achieve was ensuring all possibilities were covered in the case of a disaster strike – which it evidentially did. Great leadership is defined by instant and effective damage control. 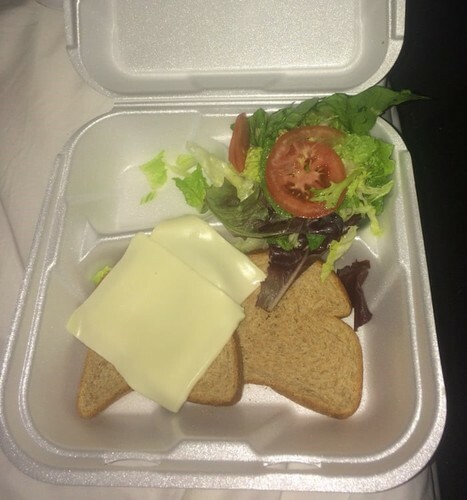 When it became clear that Fyre Festival would not be able to action all the promises that were made, the plug should have been pulled. By pushing on and causing more and more damage, McFarland permanently tainted the Fyre brand and lost all transparency with both customers and shareholders. By owning up to his and his brand’s mistakes, McFarland could have potentially saved the business from a massive (and very public) downfall. But by blindly pushing on, despite clear and regular warnings, he lost all sense of what was meant to be a success. Don’t chase fame, chase value. During the run-up to the festival, there was an overwhelming emphasis on depicting a luxury experience above all else. The use of promotion through social-media stars and the outrageously high ticket prices gave the impression of a luxe and opulent festival, never attempted by anyone before. By prioritising fame over long-lasting value (i.e. 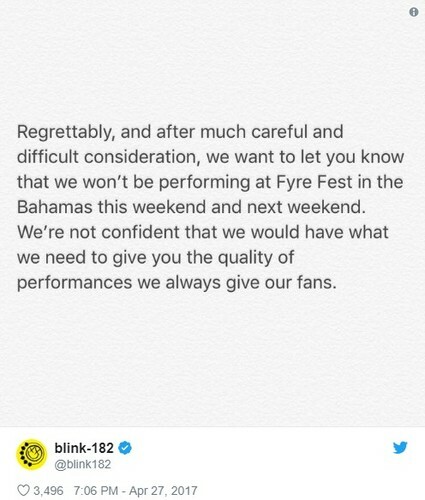 a good festival experience), Fyre inevitably lacked substance and confirmed their failure long before anyone even stepped foot on the island. For long-lasting success, always prioritise value over fame. The value you give customers will be what stays with them over time. As you provide a service to your clients, place your focus on them (and only them) and the rest will take care of itself.